Join one of our inspiring weekly sessions and enjoy access to the very best football coaching classes available! Motivational teaching all in a warm, safe and fun environment. Catalan classes are exciting and vibrant. Accelerated skill development whilst getting fitter, faster and making new friends! From Ages 4-14, we have a range of classes for players of all levels to thrive. With over 40 development tiers, children are graded and placed into the perfect class for them. "We offer small class sizes and professional coaches with plenty of 1-1 time available for when children need that little bit extra". Goals Leeds is the biggest newest football facility in the country and home to Catalan. The BEST arenas, a pitchside reception and a huge repertoire of equipment on-site. Only Professional UEFA & FA Licensed coaches deliver our classes. DBS approved & highly-experienced in working with children. Flawless pitches, Sky Sports, Luxury Changing Rooms, £100s in Prizes & Giveaways. By providing a unique motivational climate, we ensure all our players are made to feel equally welcome and celebrated during their time with us. No child leaves a Catalan class empty handed. 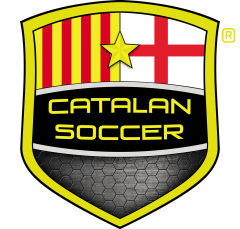 We award JAW DROPPING Trophies, Skills Cards & HUGE Catalan medals! We do everything from tie shoe laces for tots, to coach performance classes for teenagers. You're never too big or small to train at Catalan! We can help Academy players sharpen their game and beginners to discover their confidence! Please get in touch using the form below. Providing an overview of your availability for weekly classes, or select specific camp dates that you would like to book - visit the camps page for dates & prices. For any other query please drop us a general enquiry. Please note - we are unable to accept a booking made on behalf of another parent/guardian. Parents must register their own children due to GDPR compliance. Please choose from the buttons above this message to display fields for training, camps, or general enquiries.